I am a Smith. There's no two ways around it. After many years, I feel like I have acclimated well into the Schwartz family but there is no denying how Smith I am. And this past week I was able to spend time amongst my people. Our family is large and it started 60 years ago when this lovely couple got married. Grandma and Grandpa have 5 kids, 14 grandkids, and 21 great-grandkids (but I could be wrong on that number). So that's 38 BEFORE you start counting spouses and most of us grandkids are just now starting families and there are 5 who aren't even married yet. (I think there is an even 60 of us when you count spouses.) I would bet when all is said and done grandma and grandpa will have at least 30 great-grandkids. So what does it mean to be a Smith? It means lots of snacking. Snacking is an art form for us Smiths and we always offer a wide variety of salty and sweet snacks. And while I couldn't find a picture of this, it means a mountain of Red Solo Cups. Though, while there are plenty to be sure and you actually could get a new one to do so is absolutely blasphemous. It is Smith law that thine name shalt be written upon one solo cup in sharpie and this is the cup which thou shalt use for the entirety of the visit. Thou shalt also at least once a day play the eternal game of Where Did I Set my Cup down. To play this thou shalt turn other people's cups around to ensure they are not erroneously drinking from thine cup. Solo cups have even been known to be sent through the dishwasher lest someone should sin and get a new one. In fact, and I am not exaggerating at all, one Christmas we visited FL and my name was of course placed upon a cup. Six months later I happened to be in FL again and at dinner my place was set with my cup from CHRISTMAS. I'm not even kidding. And the second trip wasn't planned at Christmas time. I think they were actually saving it for when and if we came again some other Christmas. Being a Smith means every night ends with ice cream. Some how the ice cream assignment was missed in the reunion planning stage. Luckily Uncle Allan was late getting in to Gatlinburg, just about the time we were searching for ice cream in fact. And because every good Smith knows you can't go to bed before you have a bowl he stopped and brought an appropriate assortment. Being a Smith means having only one volume--loud. We have lots to say and we all must say it at the same time. It especially means that in order to talk to the person next to you you need to yell. Adding any additional people to the house will increase the volume exponentially. And we wouldn't have it any other way. To truly be a Smith, you must love games. All kinds of games, card games, board games, word games, Wii games, puzzles. I think the game of choice below is Apples to Apples. However, the official Smith family game is Oh Heck. There are certain rules to playing Oh Heck with the Smiths. First, no one under the age of 18 is allowed. This was an important rule, see above for the grandkid count, as it kept the kids away from the table so the adults could chat and play. Second, you absolutely cannot lead Trump, or grandma will kill you. Also, spouses aren't supposed to sit beside each other or accusations of cheating will arise. I believe there were 19 of us playing Oh Heck. We had to break it into 2 groups but probably should have broken it into 3. But most importantly being a Smith means knowing and being grateful that our family is forever. 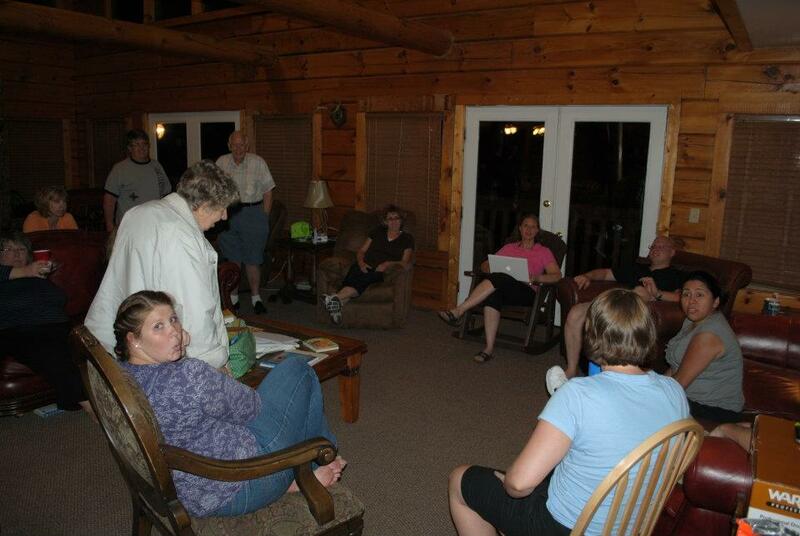 On the last night in the cabin Grandpa called everyone together and shared his testimony and a few words with us. We have scattered far across the US and not everyone could make it this time but he reminded us that as long as we are all true and faithful we will have an eternity to be together. While I hope this wasn't the last time our family has gathered in this life I am thankful for the restoration of the gospel and the power of the priesthood which has sealed our family together for time and all eternity. Heaven just wouldn't be the same without each and every one of my loud and crazy family members. 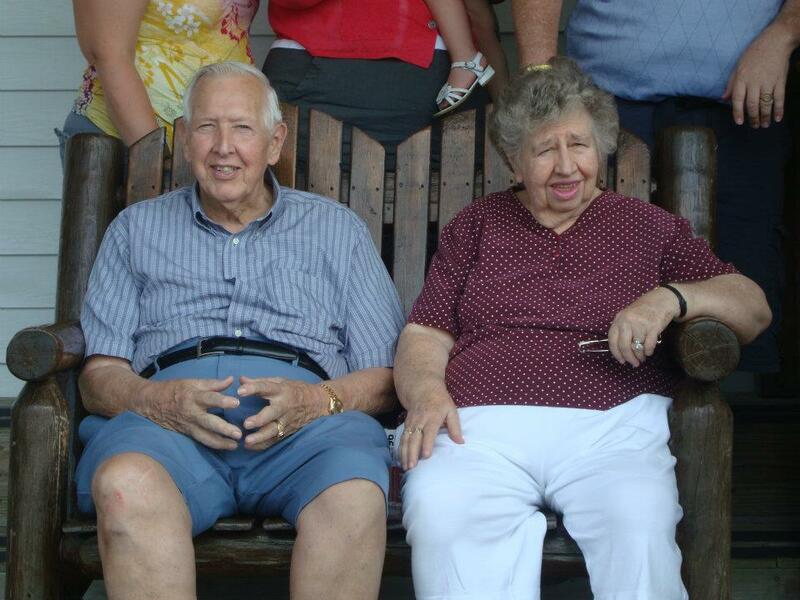 I'm thankful for my grandpa's grandpa who joined the church and raised righteous children. I am thankful for my grandmother who got her hands on a copy of the Book of Mormon one evening and couldn't put it down. Who then married my grandfather and raised 5 strong and faithful children. I'm thankful for my wonderful parents who taught me the gospel and were there when I was sealed to Chris for all eternity. And I'm thankful that my children are sealed to me. I hope and pray they develop strong testimonies and are one day sealed to their spouses. When I think of Heaven, this is what I see. so fun!! we're sad we weren't there!! !